Chairmans Award Winning Days Inn is located within walking distance of the world famous Wall Drug Store and 7 miles to the entrance of the scenic Badlands National Park. Our location also provides easy access to I-90. We offer a free continental breakfast each morning and have coffee available 24 hours a day in the lobby. Meeting Room And Fitness Center. No Pets Accepted We provide highspeed wireless internet access throughout our hotel. All of our rooms feature king or queen size beds with over 45 channels of cable TV featuring HBO, ESPN and CNN. 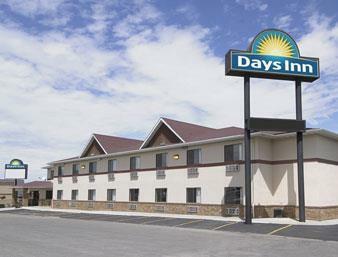 We will make your stay in Wall, South Dakota comfortable, pleasant and relaxing. Twelve feet of paint-chipped, weather-worn, prairie-dog-resembling cement glory, next to a prairie dog town and the Ranch Store gift shop. Tires painted red, white, and blue have been creatively transformed into smiling envoys of commerce at a business named "Tires, Tires, Tires."